Exclusive to Sephora Australia, I've been using Clear Skin Daily Moisturiser to blitz a couple of spots (can't always cleanse and tone between yoga and barre classes...) and I can thoroughly recommend it. 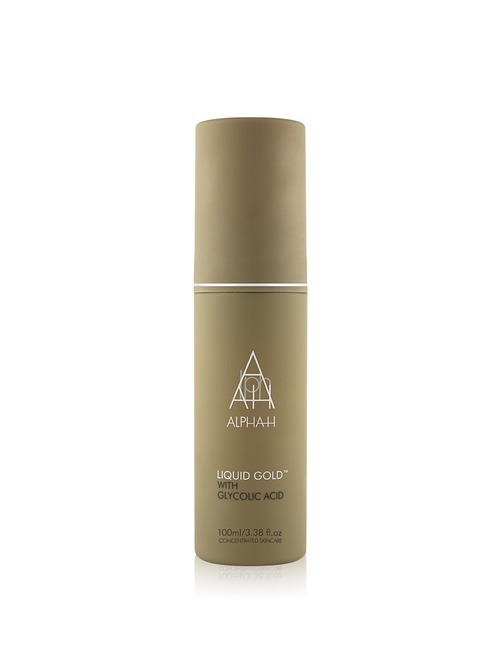 It isn't as addictive as the Liquid Gold that tingles but leaves skin thoroughly revitalised if you apply overnight. Exclusive to Sephora in Australia, VMV Hypoallergenics is ideally suited to sensitive skin and also to skin prone to acne, rashes, eczema, psoriasis and allergies to typical makeup. Their packaging is beyond design 101. Little suitcases package eyeshadows, blushers and bronzers. The Skintelligent beauty blush brush comes in its own recycled paper bag with soy-based ink. If you are a fan of #greenbeauty you are ticking every sustainability, environmentally friendly box on the way to karmic heaven. You’re going to look especially lovely when you get there too. My picks are Smauve and Heat blush palettes and you absolutely MUST have a blush brush and no-water-required brush cleaner spray (hypoallergenic of course!). Look no further if you’re after luxe and a brand name you know and trust. I once read a book on Helena Rubinstein and Elizabeth Arden. Though Estee Lauder didn’t enter the picture until towards the end, all those makeup queens were the true pioneers and entrepreneurs of their day. BronzeGoddess has been a cult hit for beauty lovers since it was released some years ago. With a fragrance, colour palette and face/body bronzers as part of the collection, you have your pick of products. Right now, it’s all about highlighting and the “strobing” effect where the skin is given a glowy effect all over. That said, you don’t want to blind people with your ridiculous luminescence. Be subtle. The Bronze Goddess Palette has a bronzer, coral hued blusher and gold highlighter. Each shade could be used alone but in combination, it adds vibrancy, shade and light to your face. Talking of glow, the only foundation I consistently return to over and over is Bobbi Brown. I loved the cushion foundation but I'm a bit old school and a liquid foundation that I can pump out a reliable and ritualistic amount is perfect for me. Totally recommend the Skin Nourishing Glow Foundation. I wear it to the gym and it still lasts all day without giving me spots. Bam. My next trial? The Foundation Stick. My shade is Warm Ivory but there's a zillion to choose from whether you're icy pale or Grace Jones. Also, for highlighting heaven, you can't go past the subtle gold glow of Telluride Highlighting Powder. Hello budget beauty. Not only will you get change from your weekly pocket money allowance, you’ll also have the happy glow of knowing many e.l.f products are vegan and therefore, cruelty free and ethically produced. There is a full makeup range for face, lips, eyes and also a skincare range if you’re so inclined. A makeup artist friend highly recommended their brush sets (a BUDGET quality brush set? YES!). I can back this up. Most of the brushes are vegan but not all. If this is of concern, do your research and you can always ask via email or online.